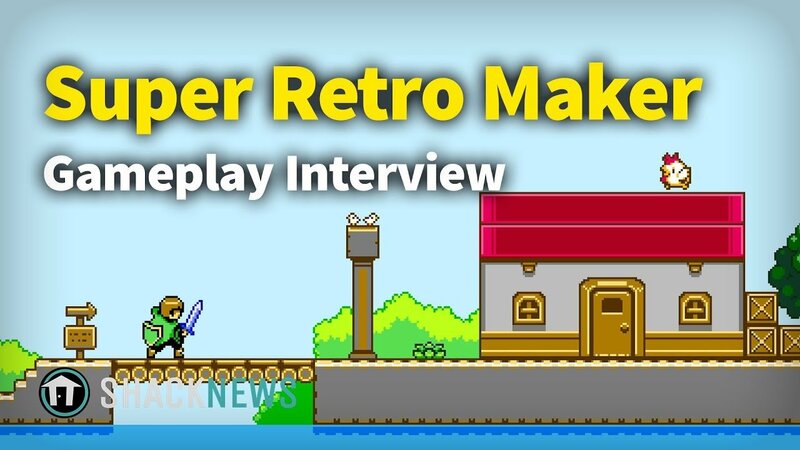 Shacknews recently sat down with Super Retro Maker's Matt Livingston, lead artist and project manager, to chat about its nearly unlimited potential when it comes to allowing players to make their own games. It's a level-editing game like Super Mario Maker or LittleBigPlanet, notes Livingston. You can create your own levels to share with your friends, though beating the level yourself isn't required like in Super Mario Maker. So there shouldn't be any concerns floating around about whether you're a skilled enough player to beat your own level. "We have up to 4-player split-screen. Once you get far enough apart, it will actually split. It shifts between horizontal and vertical split-screen based on where you're located." There are eight different gameplay styes, inspired by games from the NES and SNES days, such as Metroid and Castlevania, so there are plenty of ways to express yourself as a creator when you jump into this retro-tinged playland. Check out the interview above to see what's on offer, and look for the game to release sometime later this year. For more great videos, including games convention coverage and developer interviews, be sure to check out Shacknews and GamerHub.tv over on YouTube.